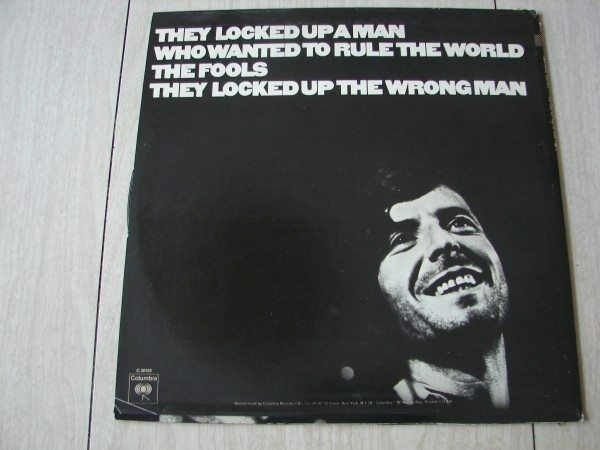 Acclimating myself to Leonard Cohen’s unusual singing voice took until adulthood. Low and creaky, Cohen sounds as though he’s easing his words through a crack in the wall. He sneaks up on you, and his literary style of songwriting appeals to me. 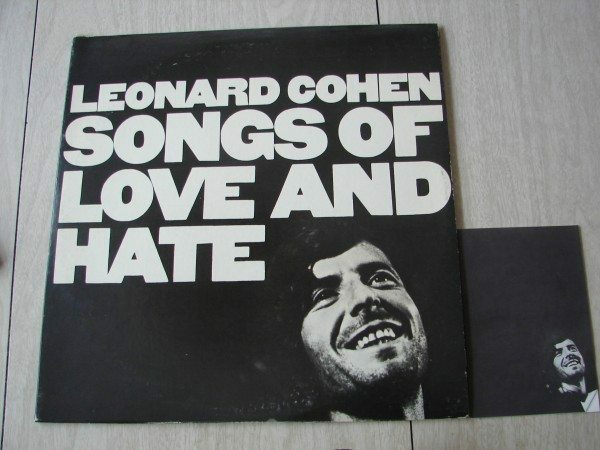 Songs of Love and Hate is Cohen’s third album, released by Columbia in March 1971. His voice is a little higher-pitched compared to later works like “First We Take Manhattan,” and one can see how people initially compared him and Bob Dylan to one another. They probably did a fair amount of comparison between themselves. I love this album’s opener, “Avalanche.” Cohen’s classical acoustic guitar work is beautiful, and I knew immediately, Yes, I’m going to enjoy this experience. It scratches some sonic itch I didn’t even know I had. I love the strings, the story, all of it. LC: That was one I thought was never finished. And I thought that Jennifer Warnes’ version in a sense was better because I worked on a different version for her, and I thought it was somewhat more coherent. But I always thought that that was a song you could see the carpentry in a bit. Although there are some images in it that I am very pleased with. And the tune is real good. But I’m willing to defend it, saying it was impressionistic. It’s stylistically coherent. And I can defend it if I have to. But secretly I always felt that there was a certain incoherence that prevented it from being a great song. 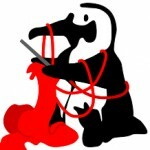 PZ: I’d have to disagree. LC: Well, I’m glad to hear it. Please disagree with any of this. PZ: I think the greatness of that song lies in the fact that you’re alluding to a story without coming out and giving all the facts, yet the story is more powerful because of what you don’t say, or can’t say. 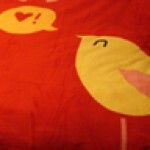 LC: es. It may be. When I was at school there was a book that was very popular called Seven Types of Ambiguity. One of the things it criticized was something called “The Author’s Intention.” You’ve got to discard the author’s intention. It doesn’t matter what the author’s intention in the piece is, or what his interpretation of the piece is, or what his evaluation or estimation of the piece is. It exists independently of his opinions about it. So maybe it is a good song, after all. I’m ready to buy your version. This is all part of this make-believe mind that one has to present socially and professionally if you care about these matters. It’s like asking somebody in a burning building if they care about architecture. [Laughs] Where’s the fire-escape? That’s all I care about in terms of architecture. Can I open the window? “You’ve got to disregard the author’s intention” — This reminds me of the oft-told idea that once one releases a piece of art into the world, in a way, it ceases to be the artist’s. One cannot control the reaction people will have when experiencing a song, a book, a painting, a poem, etc. One can only do the work they want to do, and the rest is in the audience’s hands. 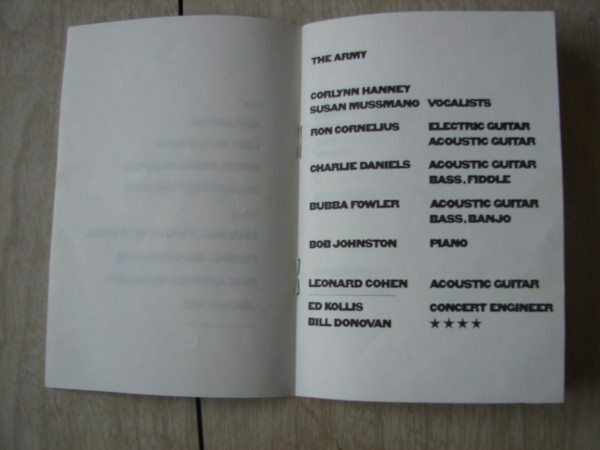 Instead, there is a small, staple-bound booklet that lists the songs, “The Army” (musician credits), and the design and producer credits. The paper is thin like old typewriter paper and I love it. It smells of dusty record bins. This is not the only Leonard Cohen album in my collection; I cannot wait to experience them all. No kidding. He’s a hurts-so-good kind of musician, but no, not for everyday use.